Greenport has always catered to mariners. The village, between New York City and New England on the easterly tip of Long Island’s North Fork, is casual and history-filled. 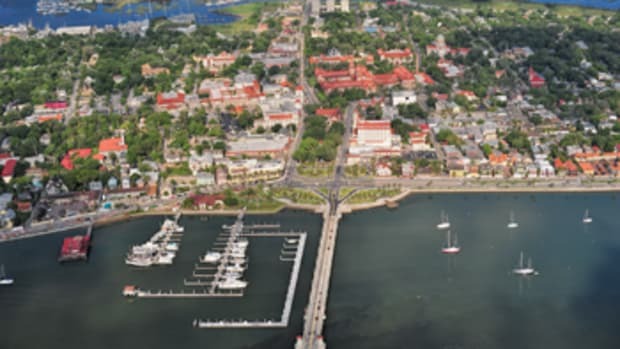 It has stores and services within walking distance of the water, plus a fresh local food scene along the working and recreational harbor. Oyster beds, farms, orchards and vineyards stretch in all directions by land and sea, and a summertime farm stand sells fruit and produce every day outside the supermarket just up from the waterfront. And if you need to provision for the boat, as well as for the galley, Preston’s Chandlery and W.J. Mills & Co. continue to serve visiting boaters, as they have for a century and a half. Greenport has more restaurants than you can shake a boathook at, from clam and oyster bars to fine dining. Try Bruce & Son, Crazy Beans or the Blue Duck Bakery for breakfast. The best coffee and scones are at Aldo’s Coffee Co.
For lunch and dinner, Salamanders On Front has irresistible take-out and gourmet market goods. Buy the homemade chicken potpies before leaving port! If oysters are on your list, shuck your own at the old waterfront bait shop at Little Creek Oyster Farm & Market, where the growers give you a glove, an oyster knife and a bucket of local beauties. If shucking is not your thing, order Peconic Gold Oysters Friskafella (with garlic-scented spinach, chipotle and parmagiano aioli) at The Frisky Oyster or a half-shell platter at Noah’s, both on Front Street. 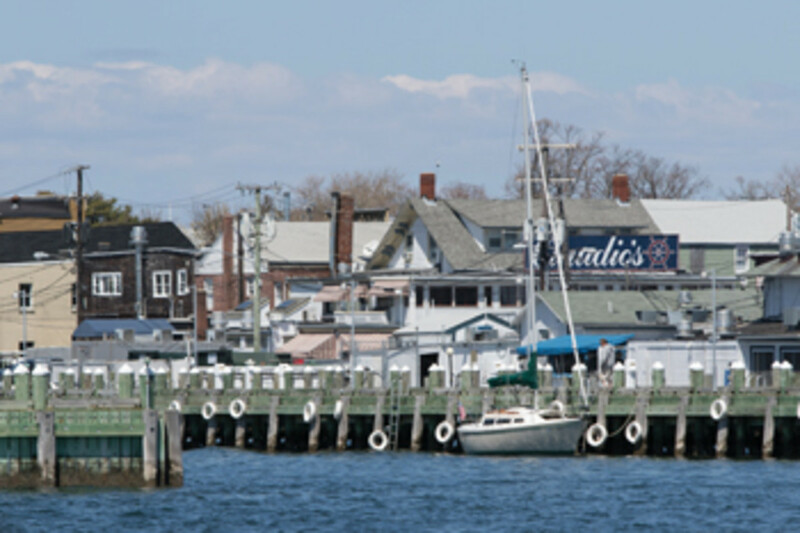 And a cruise to Greenport wouldn’t be complete without dropping in at Claudio’s Restaurant, founded by a Portuguese whaler who swallowed the anchor here in 1870. Greenport Harbor Brewing Co. is just past Greenport Yacht & Ship Building on Carpenter Street. You can take a growler back to the boat. For cocktails in a speakeasy atmosphere, Brix & Rye on Main Street is a happening spot. For a quieter vibe, sit outside next door, under the tree at American Beech. Steps away is the 1943 Pizza Bar, where you can do what the locals do and order a pie to go if you can’t get a seat. 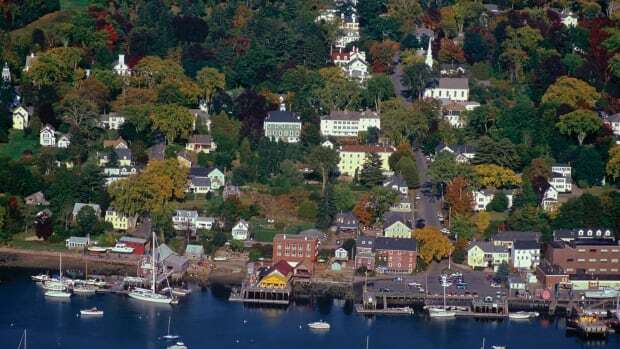 Shoppers will find antiques, art galleries, gifts, new and used books, vintage and original clothing, a cheese shop, local specialty foods and smoked fish, a toy store and a pet shop, all a quick stroll from the waterfront. 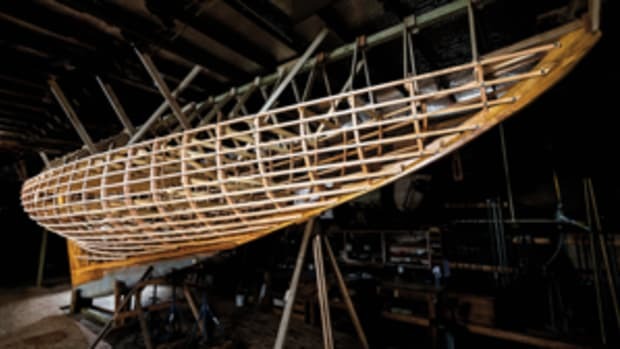 This former whaling port also has shipyards restoring and building classic designs: Wooden Boatworks is at Hanff Boatyard on Sterling Street, and Anders Langendal Boatbuilder & Sons is in the World War II boatbuilding shed at the end of Carpenter Street. A 300-ton marine railway hauls commercial boats in the same yard where Harold Vanderbilt once kept his J Class yachts. Summer brings free live music and dancing on the water at Mitchell Park, and a pig roast at First and South every Monday evening. Claudio’s provides live music on the dock every weekend. For kids, there’s an antique carousel and the East End Seaport Museum. 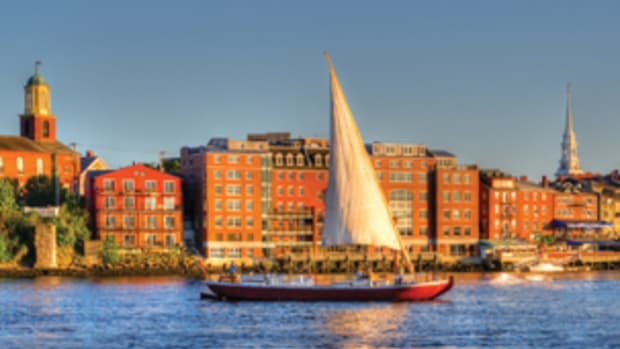 September’s Maritime Festival guarantees lots of food, drink, shopping and entertainment, and Mitchell Park fills with classic small boats and iceboats. Greenport is easy to reach from either side of Shelter Island. 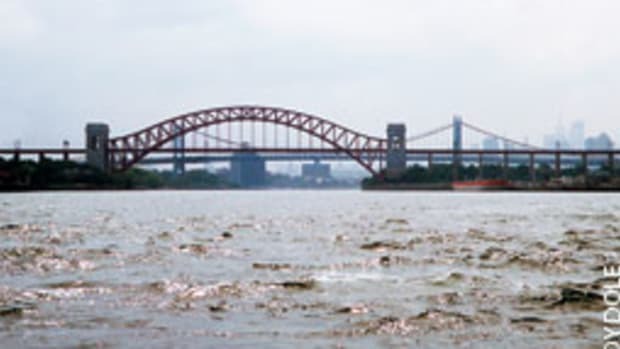 The tidal range averages 3 feet. Steady, hard east winds raise tides; westerly winds lower them. 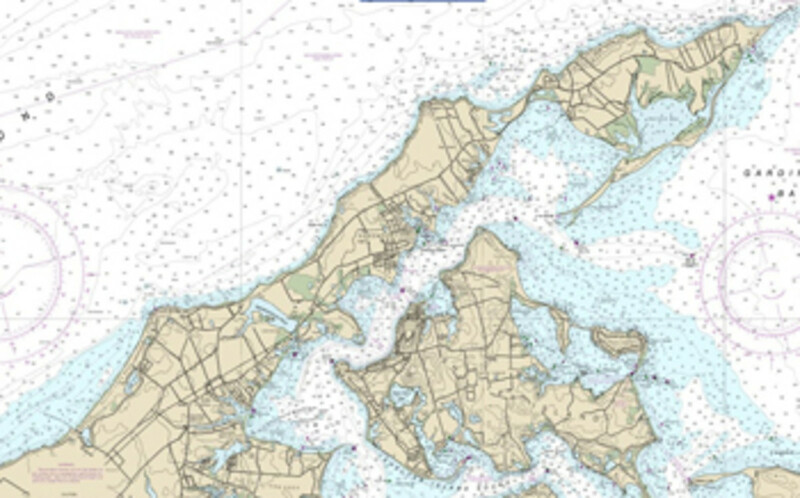 There is moderate current through the Greenport/Shelter Island channel, particularly at full and new moons. Mitchell Park Marina has transient floating docks. Bigger yachts dock on the fixed east pier. Claudio’s Marina and Preston’s also have dockage, but waters can get choppy there in the afternoon. Brewer Yacht Yard, Townsend Manor Inn and Brewer Stirling Harbor Marina (with a fuel dock) are inside Stirling Basin. Follow unlit channel markers parallel to the breakwater, and mind the sandbar drifting into the channel entrance to starboard. There is no anchoring in the basin, but a few transient moorings are available from Mitchell Park Marina. Use VHF radio channel 11. 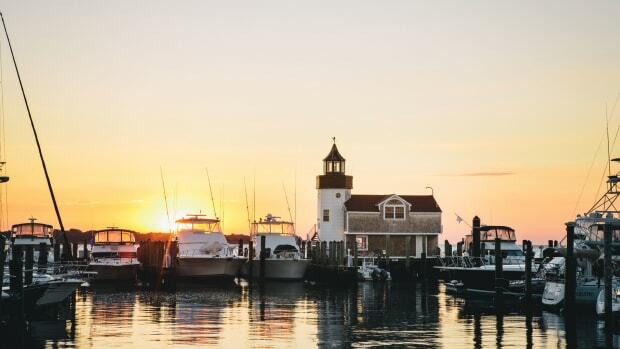 Greenport (greenportvillage.com) has managed to hold on to its historic, easygoing vibe while balancing a working waterfront with recreational boating and tourism. It’s the real deal. 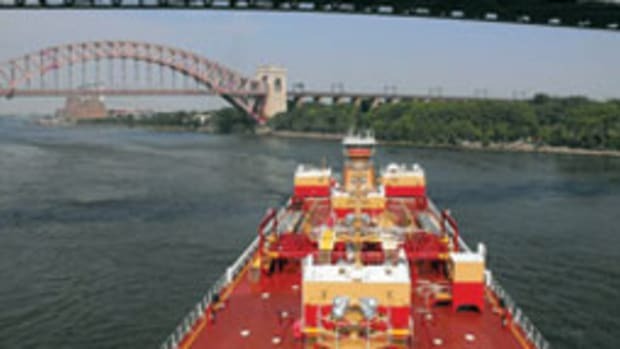 Pat Mundus is a retired merchant ship deck officer who lives in Greenport, New York. She contributes to boating magazines while cruising her F. Spaulding Dunbar ketch, Surprise, in the Bahamas and the western Caribbean. 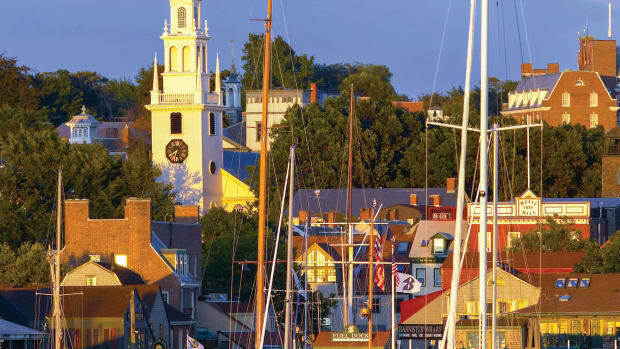 During the summer season she arranges crewed classic yacht charters through East End Charters (eastendcharters.com).